This Unit Looks Like the 90A 13245 (Both Have the 11mm Top Mounting Hole), But is Rated at Only 75A. Many Use the 13245 in Place of This. 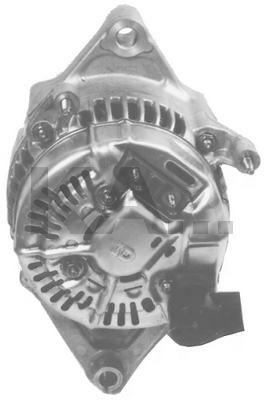 The Pulleys Will Interchange, as All Units Here Have the 17mm Rotor Shaft.121000-3430 (13353 - 290-257) 4-Groove Pulley. No Ground Tab121000-3410 (290-257A) Double V-Groove Pulley. No Ground Tab121000-3460 (290-257B) 7-Groove Pulley. Ground Tab UsedInternal Parts Vary Between the OEM No. 's Above. All Interchange. The 8mm Top Mounting Hole Version of the 13353 is the 13185.